Dr. Gil Blander is a renowned scientist with a PhD in biology from the Weizmann Institute of Science, who did postgraduate research on aging at MIT. An expert in nutrition, biomarker analytics, athletic performance, biochemistry, and aging research, he holds numerous patents and has published peer-reviewed articles in these areas. Dr. Blander is the founder of InsideTracker, a personalized health and performance analytics company created by leading scientists, physicians, nutritionists and exercise physiologists from MIT, Harvard and Tufts University. The InsideTracker platform tracks and analyzes key biochemical and physiological markers, then applies sophisticated algorithms and large scientific databases to determine personalized optimal zones for each marker. InsideTracker’s expert system offers science-driven nutrition and lifestyle interventions that empower people to optimize their markers. When optimized, these marker levels have been scientifically proven to increase vitality, improve athletic performance, and extend life. Dr. Blander brings more than 18 years of experience in systems biology, computational biology, aging, metabolism, and caloric restriction research to his role as Chief Science Officer. 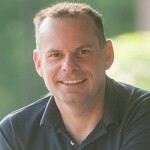 Prior to founding InsideTraker, Dr. Blander previously worked at MIT, the Weizmann Institute, and several leading Systems Biology / Computational Biology companies. 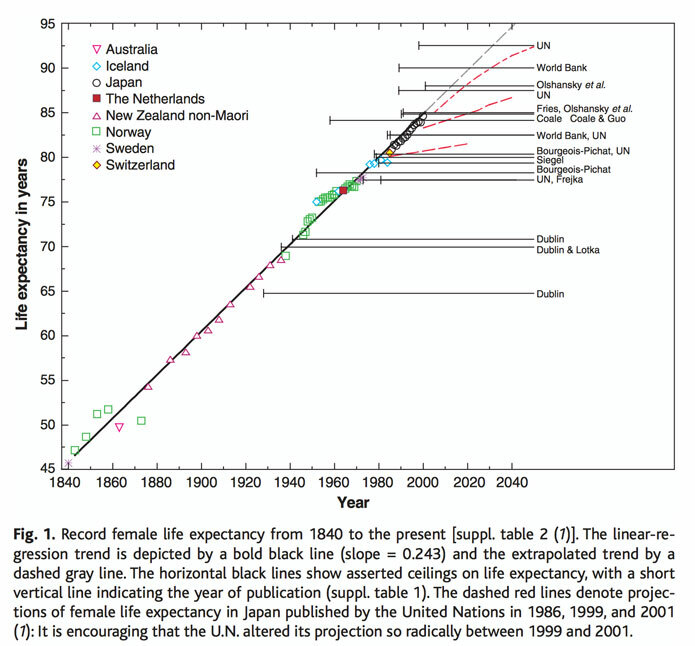 From 1840, we observed a tremendous increase in the average human lifespan in developed countries. Most humans that were born in 1900 did not pass the age of 50. Today the life expectancy of a newborn is 81 years, an increase of more than 60% (figure 1) (PMID12004104). 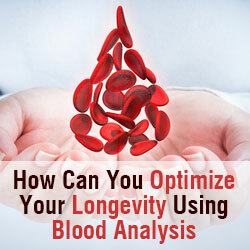 Longevity improvements result from the advances in nutrition, education, sanitation, and medicine. Before the middle of the 20-century, a majority of the life expectancy increase was accounted for the large reductions in death rates at younger ages. In the second half of the 20th century, improvements in survival after retirement (age 65) handled the rise in the life expectancy. During the last 170 years improved nutrition, education, sanitation, and medicine cause a dramatic increase in life-span. To extend our lifespan even further we need to look for a brand new intervention, can personalization be the next frontier? To keep your car running well and to extend its life, you take it to your mechanic every 5,000 miles or so. With the assistance of computer diagnostics, your mechanic checks the engine, brakes, and other systems. The diagnostics software tells your mechanic that parts need to be fixed or replaced. After maintenance, the car should run pretty well until the next scheduled check-up. But, if you skip the regular oil change, the oil will become thick and dirty, and eventually the engine will seize. Research of the car industry showed that since adding the scheduled oil change in the 1980 the average life span of the car increased substantially. How can we learn from the car industry to optimize our longevity? Doesn’t your body deserve the same care, a schedule of regular diagnostics and preventative maintenance? It’s much easier to take care of yourself when the issues are relatively small, rather than to wait until you’ve gained an extra 20 pounds! You need what your car needs: a dashboard and a suite of computer diagnostics. Fortunately, the InsideTracker program provides you with a unique window into your body, revealing biochemical issues that are affecting your wellbeing and performance. How does InsideTracker see inside your body? With a small blood sample, InsideTracker measures key biomarkers – critical vitamins, minerals and nutrients that affect wellness and performance. Like a mechanic, InsideTracker finds problems, and then, using an Artificial Intelligence (AI) algorithm, the program recommends simple changes in nutrition, lifestyle, exercise, and supplementation to help you keep your body running in peak condition for another 5,000 miles! Using those five biomarkers value we can calculate your biological age, or InnearAge, compare it to your chronological age, and help you to optimize it using simple interventions. InnerAge users are provided with personalized Focus Foods; they are algorithm-picked, real food options based on your internal biochemistry. Their goal is to turn the current you into the optimized you. We use your unique biomarker results to choose specific foods that will help you improve your InnerAge, which we call Focus Foods. By compiling research studies and an extensive database of global food options, we have identified five potent food options that will do the most to help you improve InnerAge. Introducing Focus Foods into your daily diet is an effective way to lower your InnerAge. Like Biomarkers, your Focus Foods are dynamic and will change over time as you improve your InnerAge. My scientific journey started at the age of 12, when one of my close relatives passed away, triggering my thirst and quest for knowledge of how our body ages. While I knew I couldn’t stop the clock, I wanted to at least slow it down and give people the knowledge required to delay the aging process and improve their health and quality of life as a result. I decided to commit my life to science, and aging research in particular. I graduated from the Weizmann Institute of Science with a PhD in the biology of aging, and later became a postdoctoral scholar at MIT in Lenny Guarente’s Laboratory, for the Science of Aging. I wanted to do more than study methods on how to slow the aging process; I wanted to decisively apply scientific knowledge and help everyone live life to its full potential. In 2009, InsideTracker was born. Our talented team of scientists decided to develop a new, one-of-a-kind science-based platform that could make the future of personalized health analytics happen now. Objective, rich, scientific data at the service of the individual to support truly tailored decision making. My first InnerAge test was done in January 2014 when I was 44 years old, my InnerAge at that time was around 58. 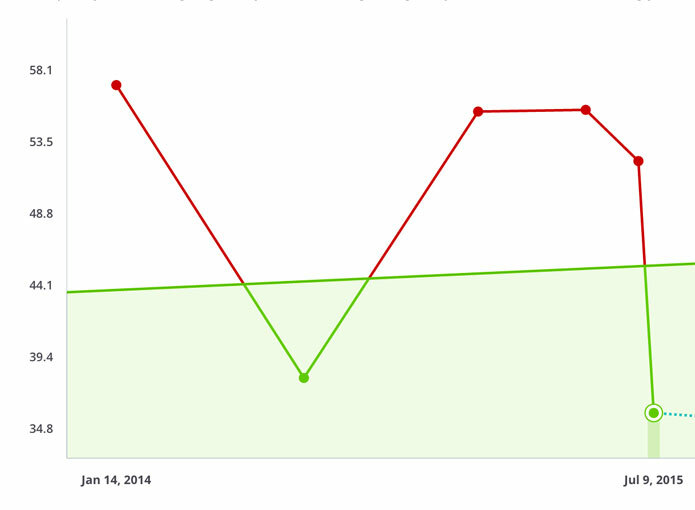 I was shocked and decided to follow InsideTracker’s recommendations (I lost weight, increased my activity and followed my Focus Foods recommendations). Few months later, in June 2015, my InnerAge decreased to less than 40. I felt like I will live forever, I cracked the code, I’m immortal. But then, when I tested again few month later in January 2015, my InnerAge increase to around 57 years, as I haven’t followed my InnerAge recommendations religiously. More than that, I got and stayed bad when I retested on May 2015. Maybe I’m not immortal; I aged 18 years in one year! I took it hard and followed my new InnerAge recommendation including the addition of garlic supplementation to optimize my Glucose level, and on July 2015 my InnerAge was again younger than my chronological age. The take home message is that InnerAge help you to find small issues related to your longevity when you are still relatively young, fix them, and hopefully optimize your longevity. InnerAge is a lifetime struggle and, unfortunately, it is not a silver bullet.